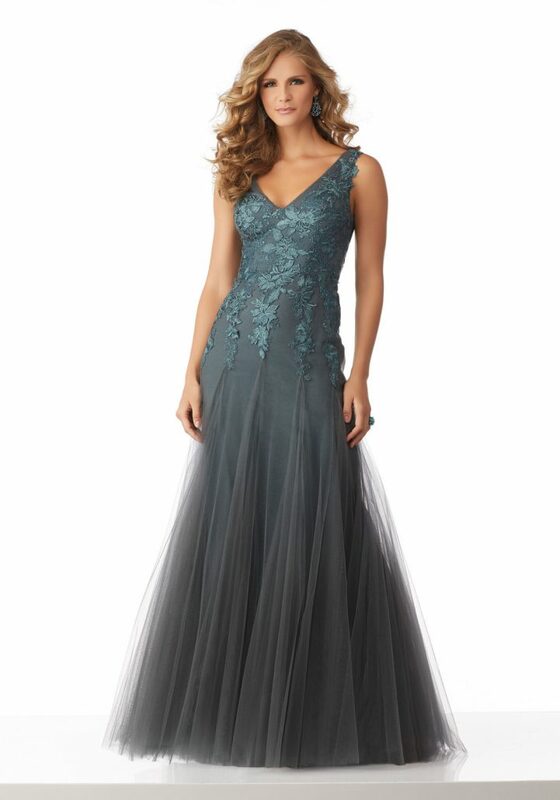 Stretch Mesh Social Occasion Dress with Ruched Bodice and Side Draping. 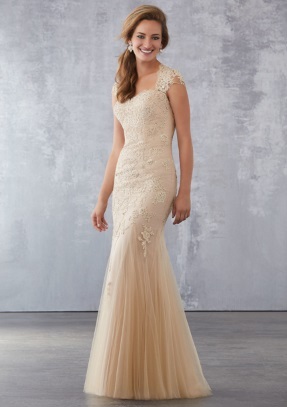 Beaded Lace Accents the 3/4 Sleeves and Illusion Back. Colors Available: Navy, Peacock, Claret. 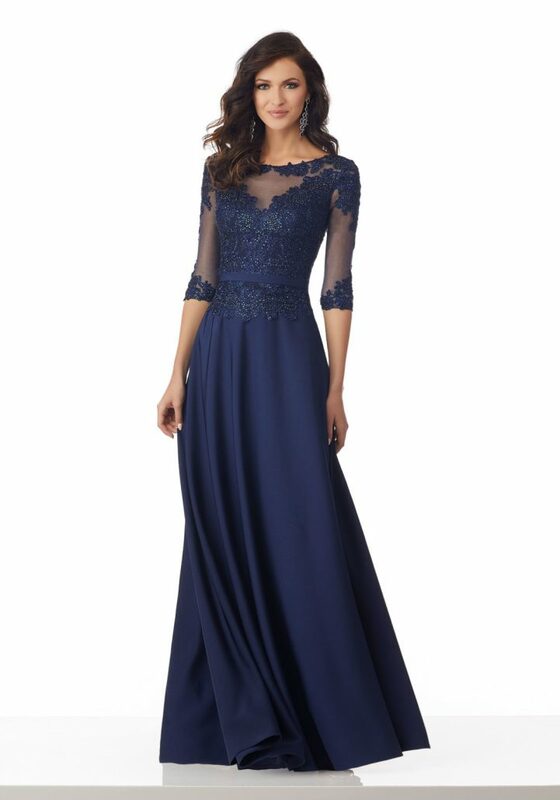 Chiffon Mother of the Bride Gown Accented with a Beaded Lace Bodice. Elbow Length Sleeves and Side Draping on the Skirt Complete the Look. Colors Available: Eggplant, Latte, Navy. Lace Appliqués and Beading on Stretch Mesh. Colors Available: Champagne, Charcoal, Navy. A beaded illusion inset accents the deep sweetheart bodice and extends into an illusion scoop neckline in this Jovani JVN45296 sleeveless evening dress. 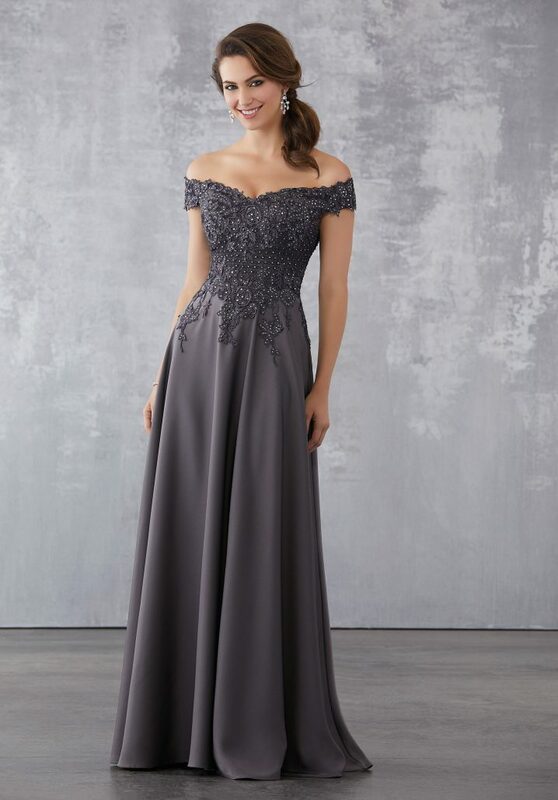 This full-length fitted gown with sweep train features an upper illusion back and a beaded band cinches the waistline above the ruffled peplum. Available Colors: blush, eggplant. 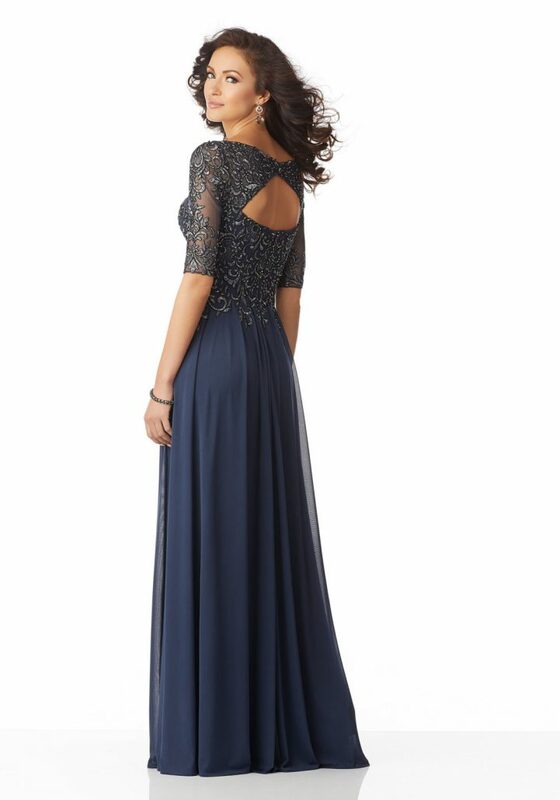 Sheer Neckline Cap Sleeve Beaded Evening Dress. 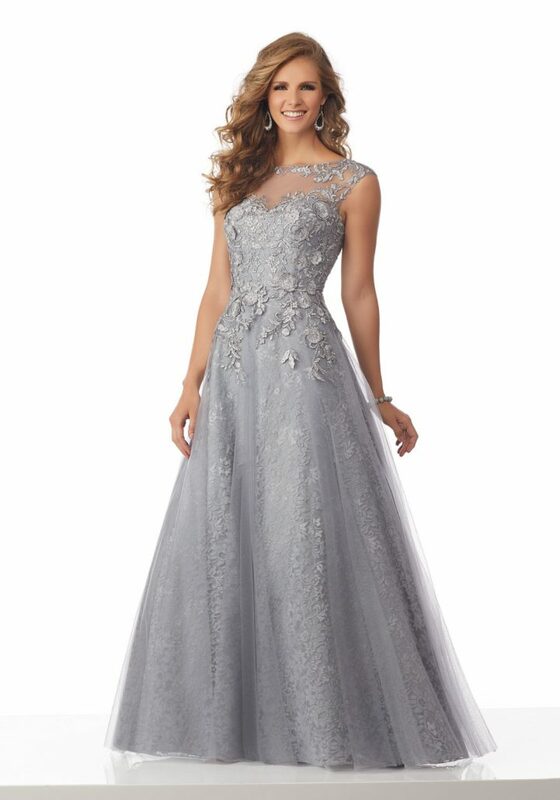 Silver off-the-shoulder ballgown with a floral pattern sheer layer. 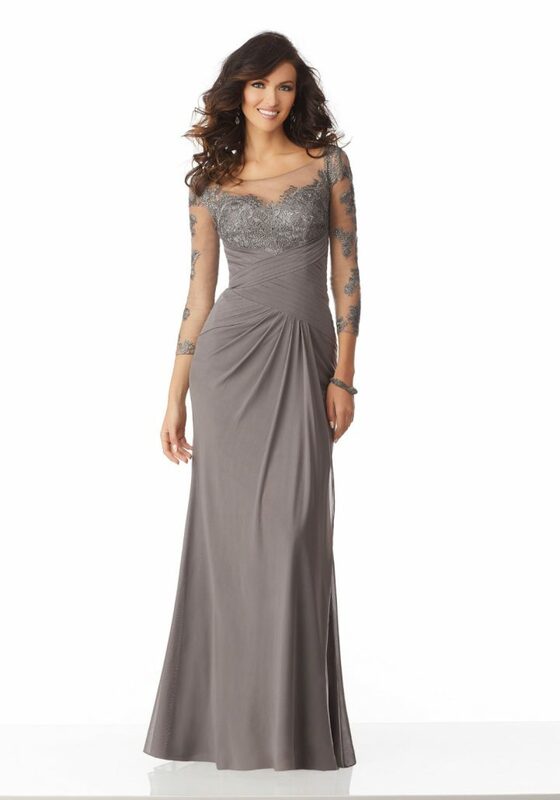 This sophisticated formal dress includes a sweetheart shaped bodice with off-the-shoulder straps and floral detailing. From below the waist, this design flares in loose pleats, creating volume and the perfect formal silhouette. Intricate floral detail set on a sheer layer adds texture and style. Available Colors:black/silver, silver. Beaded Embroidery on Net with Beaded Waistband. Matching Stole. Colors Available: Charcoal, Eggplant.